Day six. Book six. 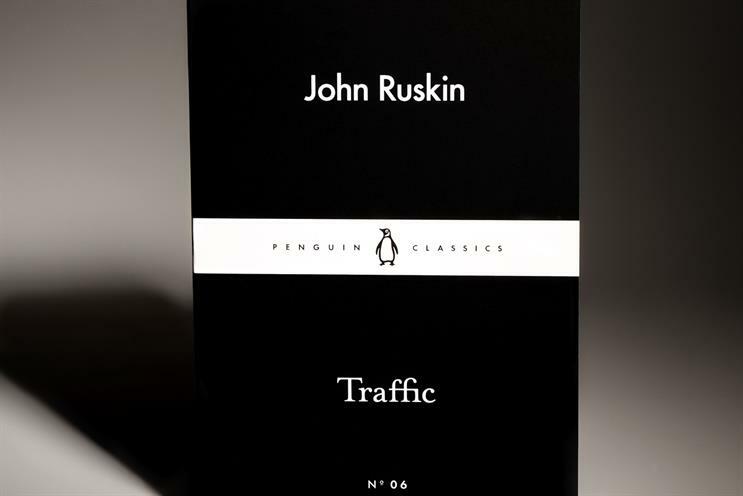 John Ruskin's Traffic explores the importance of a unifying idea. It’s day six, and we are off to Bradford Town Hall in 1864 to hear what John Ruskin had to say to civic leaders about the meaninglessness of art in their mercantile society. The Victorian art critic is invited to Bradford to offer advice on the design of their new Exchange. He starts by telling them "I do not care about this Exchange of yours". Ruskin can’t care about it, because Bradford doesn’t care about it, and Bradford can’t care about it because Bradford is not seeking to express, in its architecture, any coherent "life and character" beyond a shallow belief that a fashionably designed Exchange is preferable to an unfashionably designed Exchange. And so begins what the publisher rightly describes as an "excoriating defence of dignity and creativity in a world obsessed by money". It is hard not to draw inspiration from this most beautiful of rants, the central premise of which is that art and architecture have always been expressions of those higher ideas that held society together, and that taste and morality are in this sense directly linked - "every nation’s vice or virtue was written in its art: the soldiership of early Greece; the sensuality of late Italy; the visionary religion of Tuscany; the splendid human energy of Venice." A world that has replaced cultural and spiritual wealth with material wealth, is one in which art loses its purpose and its compass. Through their art, Ruskin argues, the ancient Greeks worshipped the idea of wisdom; the Medieval Christians worshipped the idea of judgment; and the renaissance world worshipped the idea of beauty. Even in the secular age that followed, the essence of Ruskin’s argument still held. Expressionist, Art Deco, or Bauhaus architectures were voicing something deeper than the skyline wardrobe preferences of wealthy industrialized nations. Today, though, we all know what it is to drive into a town and be met with an incoherent collision of style. What we are really confronting, as we curse the town planner, is the fact that society no longer knows what it is trying to express. There is no unifying idea. Every un-anchored whim of the badly built environment reminds us of the absence of idea, and the parallel with our industry is all too obvious. When business, brand and consumer align around a purpose more durable and sustainable than transactional urgency, coherence is bestowed and creativity finds a rhythm.